Package including both the Book and Study Guide. Fred Shuttlesworth was more than a courageous man. He was a minister, a mentor, a community leader, a husband and a father. He worked with Revenrend Martin Luther King. Reverend Fred Shuttlesworth wason of the Friends of Martin Luther King, Jr. NOTE: Shipping is $3.95 for the first book and $2 for any additional books in the order. Mrs. Jacqueline James share an in depth account of The Friends Of Dr. Martin Luther King ( Rev. C.T. Vivian, Rev. 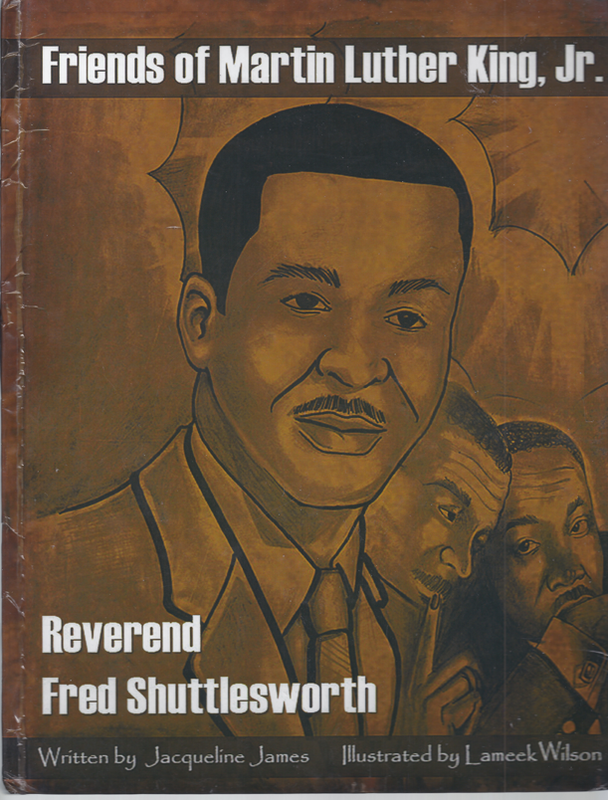 Fred L. Shuttlesworth, Rev. Wyatt T. Walker, Mrs. Dorothy Cotton) by drawing the reader into the worlds of courageous men and women who risked their all for Human Rights. Using Before and After MLK , illustrations and vocabulary of the times, she educates, motivate and inspires us...... to do more........ when you can ... wherever you can, to keep the dream of human rights for all alive! Passion, perseverance and pride would best describe Jacqueline James when it comes to educating young people. I have known her over 40 years. She has always been dedicated to making sure the history of our celebrated heroes is kept alive. The publications have been enjoyed by many youth groups in this area. Copyright © JAX Publications 2018. All rights Reserved.